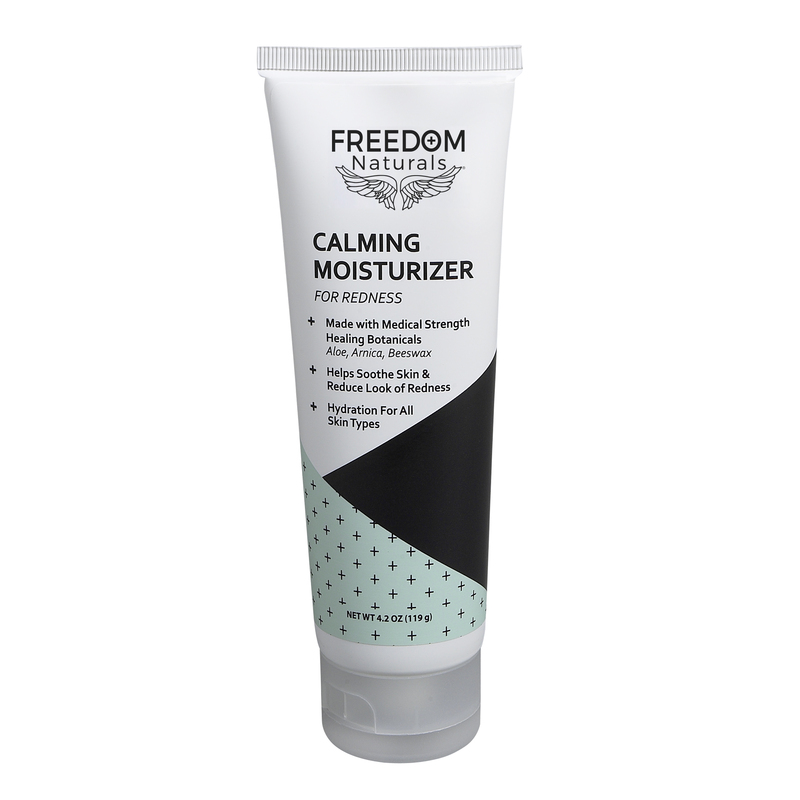 Calming Moisturizer for Redness is ideal for sensitive skin prone to redness and irritation. 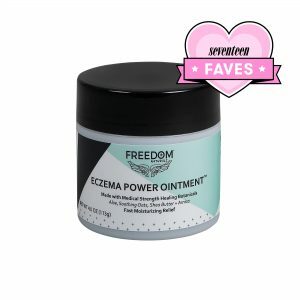 This natural, non-greasy cream helps reduce redness and soothes skin for a healthier looking complexion. 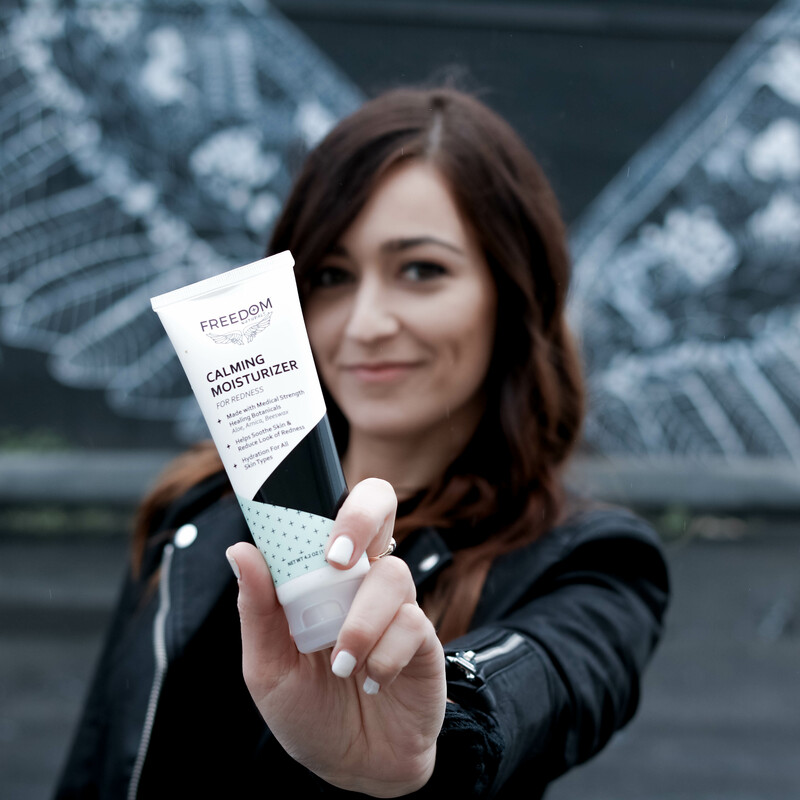 This concentrated formula leaves skin feeling soft and hydrated. Made with Organic Aloe Vera*, Allantoin, Arnica and Beeswax. 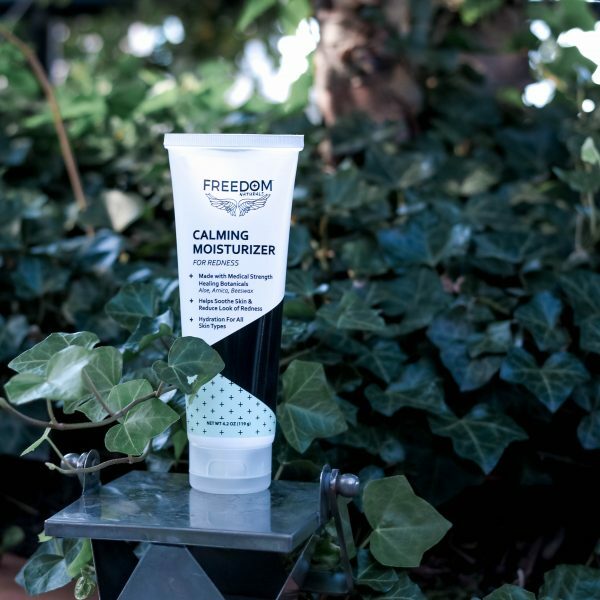 Use with Calming Cleanser for Redness for best results. 20% of proceeds goes to helping women and men in need. Arnica Montana Flower offers anti-inflammatory properties to help reduce redness and swelling of skin. Apply small amount to face morning and night. Use daily as a facial moisturizer. ALOE BARBADENSIS (ALOE) LEAF JUICE*, DIMETHYL SULFONE, ARNICA MONTANA (FLOWER) EXTRACT, ISOPROPYL PALMITATE, CAPRYLIC/CAPRIC TRIGLYCERIDES, CETEARYL ALCOHOL, POLYSORBATE 60, BEESWAX, TOCOPHERYL ACETATE (VITAMIN E), C12-C15 ALKYL BENZOATE, ALLANTOIN, BEHENTRIMONIUM CHLORIDE, CYCLOPENTASILOXANE, CYCLOHEXASILOXANE, HYDROXETHYLCELLULOSE, SODIUM HYDROXIDE, PHENOXYETHANOL, ETHYLHEXYLGLYCERIN. This product is terrific! Just what I’ve been waiting for. 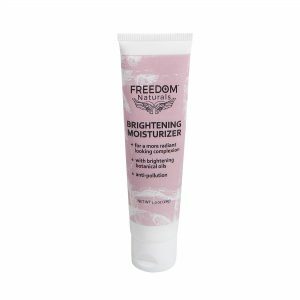 I am obsessed with this Moisturizer! I use it daily and it leaves my skin soft and smooth. I got a sample of this moisturizer in my “Just for Redheads” subscription box and i love it. 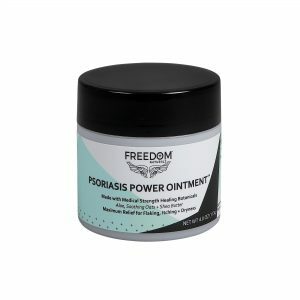 I have psoriasis, so i have to be extra careful with what i put on my skin. My skin love it and it really helps with redness. Great product!